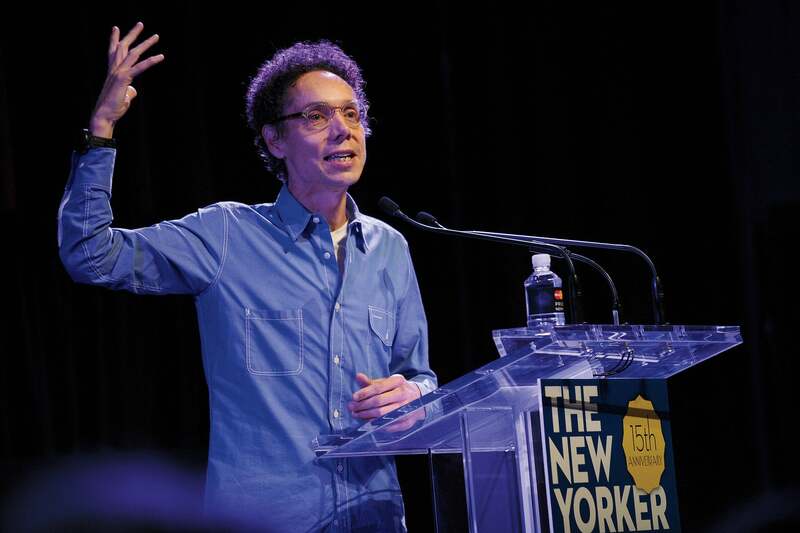 Malcolm Gladwell may have one of the strongest brands in media, but he never applies the word to himself. “I contradict myself a lot,” says the best-selling author and New Yorker staff writer, whose books include The Tipping Point and Blink. “How can I represent something as well-defined as a brand if I’m constantly changing my mind?” Instead, he counsels creatives to think of themselves as ever-adaptable -- open to opportunities wherever they come. That’s why, for example, he got into podcasting. It was on a lark, but now, three seasons later, his show Revisionist History is a consistent chart-topper. (Each episode is about “the overlooked and misunderstood,” and is produced by the podcast company Panoply.) Here, he talks about his approach to productivity, his own evolution and why entrepreneurs need to balance ideas with execution. Well, remember, I’m talking about a very specific kind of effort here, which is creative effort. If I was learning how to streamline and execute something successfully, I might have a very different approach. I’m reminded of my father, who was a mathematician. There were problems he worked on for 20 years -- not exclusively, but he started it, put it aside and then one day the answer would pop into his head. If you try to rush your work in that situation, you’re going to close yourself off to certain kinds of breakthroughs. A lot of your writing focuses on solutions to overlooked problems -- like your New Yorker article “The Talent Myth,” about how companies harm themselves by promoting the wrong type of workers. Entrepreneurs are always looking to identify problems like this, but they’re not easy to find. How do you do it? It helps that I’m a permanent outsider. To make the link with entrepreneurs, it’s no surprise that the people who tend to come up with the most innovative breakthroughs in a given field are people who approach the fields from the outside. You bring a whole new, fresh perspective. And the other thing that gets undertheorized in innovation is just how much of it is generational. It’s very often that change happens when the original generation is no longer in a position of authority, and a new generation comes along with new ideas. There is a wonderful case study with the telephone, which was completely mismarketed because the people who invented the telephone were from the telegraph industry. They understood the technology but not its place in society. And so for 30 years, the telephone kind of languishes -- until all those guys are gone, and a new set comes in who just have no memory of telegraph and so are unencumbered by that set of assumptions. When talking to entrepreneurs, I often think of a piece you wrote about “simultaneous discovery”-- that across time, multiple, totally disconnected people tend to have the same innovative ideas. Two people developed calculus at the same time, say. Two others developed color photography. But given that entrepreneurs think of themselves as ideas people, I wonder what you think they should do with that insight. You do two things with it. One, it ought to be a gentle reminder about the importance of humility -- that you shouldn’t pretend you are the sole person in the universe to have happened upon an idea, and you should also understand that ideas come as much from the world outside of you as your own thinking. And the second thing it does is, it ought to remind you about the importance of execution. Maybe ideas are cheap, but the ability to execute well is at a premium. Just because lots and lots and lots of people conceive simultaneously of search doesn’t mean the guys at Google aren’t geniuses. I don’t really. I think it gets really dangerous -- if you’re someone who’s doing something creative -- to start to define what you do. Even if it’s a correct definition, it’s limiting to have that thing in your head. It starts to constrain you. So I rebel against that, and I’d like to pretend that the things I do can be different as anything under the sun. Now, it’s obviously not true. But it’s just really useful -- more useful to think that way than to have a sense in my head of what I stand for. Related: When Opportunity Presents Itself, Will You Be Ready? It’s funny -- starting the podcast changed a lot of my thinking about what I do, because I ventured into a world I never thought I would venture into. Now I’m doing something that’s much more collaborative than I normally do, where there’s production and editors and sound engineers, and the mode in which I’m reaching people is very different, where I’m relying on my voice and not my pen. I only did this because my best friend runs a podcast company, and on a lark he said, “Why don’t you try one?” And I thought, Why not? I thought it would take me, like, a month, and I would never go back to it. Once you realize just how much serendipity there is in a field like mine, you have to abandon any kind of rules like that. I tried to write a screenplay; it didn’t work but was really fun. I don’t regret doing it. I did that MasterClass thing -- I mean, I never thought I’d do that. I’m open to suggestion. The most important thing is never to make a decision about yourself that limits your options. Self-conceptions are powerfully limiting. In the act of defining yourself, you start to close off opportunities for change, and that strikes me as being a very foolish thing to do if you’re not 85 years old.